An economist friend of mine sent this to me today. I think that everyone should take a close look at this information. I know that it is hard to understand some of these issues that businesses face in America, but everyone needs to think about it. It does not take a scholar to realize that some taxes by the Federal Government are ill conceived. Among them is the tax on money earned in foreign business operations that is levied when money comes back into the United States. Pfizer's $106.4 billion buyout offer of British pharmaceutical giant AstraZeneca is being largely driven by high US corporate taxes. At yearend 2013, Pfizer had $70 billion of overseas earnings that, if repatriated, would result in huge US taxes. Buying AstraZeneca with the overseas earnings eliminates the tax bill on the $70 billion and moving the merged firm's headquarters from here to the lightly taxed UK reduces taxes on future earnings. International corporations do this all of the time. Why on earth would our government require companies to pay taxes on money they bring back into America. Clearly that money would be moved into our economy where it will be paid out as taxable dividends to investors, taxable income to employees, or used to purchase taxable goods and services from US Merchants. 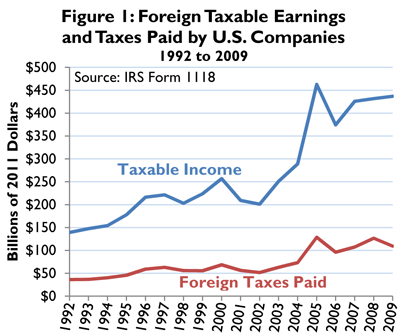 Does anyone else see the stupidity in our international corporate tax law? Don't others see that this practice simply undermines corporations from blustering the US economy by causing them to leave their money outside of the United States? Seriously - all of us should be getting in touch with our senators and house representatives to get some action on repealing this insanely stupid tax on bringing money and profits into America. The way it is today - companies are incentivized to move away from our county. This will be going to Barbara Boxer - not that she will respond - but I hope she will.